A horse-drawn journey through the Milky Way Galaxy. October 2006. Duvall and Vashon, WA. 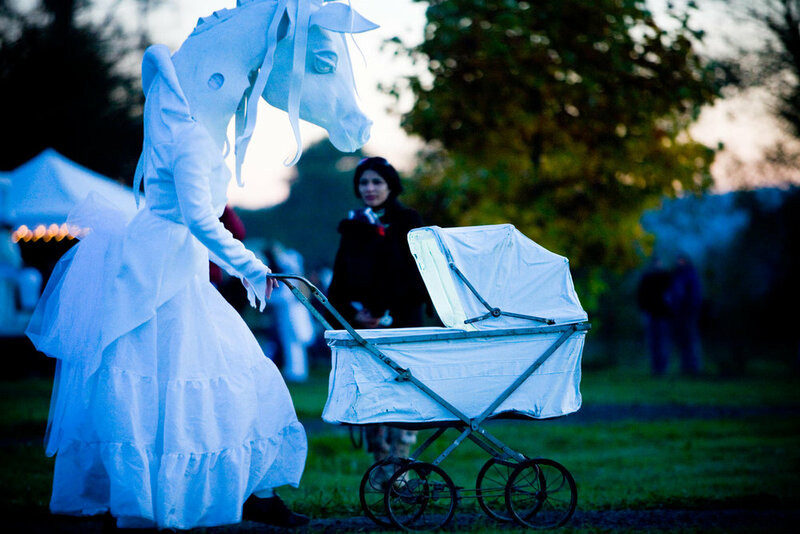 Lullaby Carriage was a mobile interdisciplinary performance that offered audience members passage in giant horse-drawn canopy beds through an illuminated land of dreams. This interactive work also featured star-gazing beds for audience members to climb into, storytelling based on night-sky mythologies, and a choir of snorers. A live classical music ensemble wove nocturnes and lullabies through the evening. 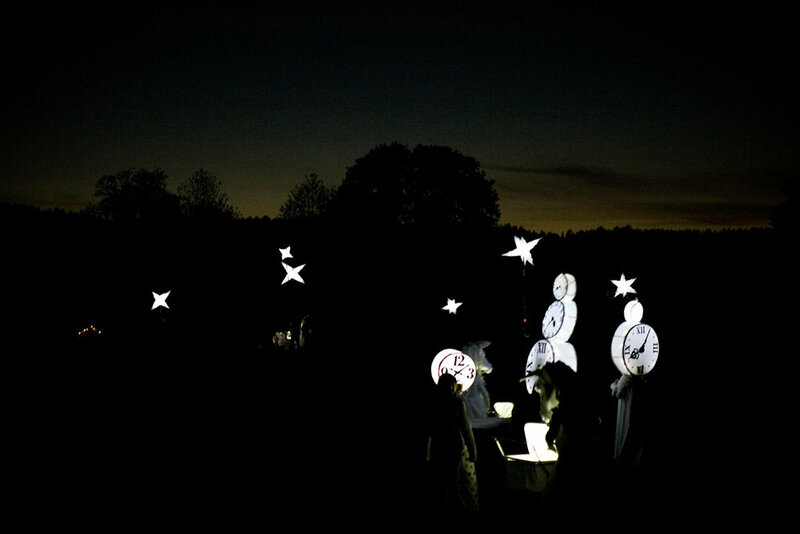 Each three-hour performance cultivated favorable experiences of nighttime and darkness in public spaces, creating the opportunity for audiences to revel in the expansive beauty of the Pacific Northwest at night. Lullaby Carriage was a study for our year-long cycle, Lullaby Moon. The work was commissioned by 4Culture, the Site-Specific Performance Network, and the cities of Duvall and Vashon, Washington.